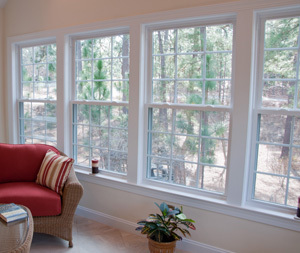 Is it time to replace the windows currently installed on your home in Durham, NC? If so, allow the trusted team at The Aluminum Company of North Carolina to complete all the hard work for you. We’re proud to install an outstanding selection of windows from leading manufacturer Alside. Each window that we install for our neighbors in the Research Triangle includes a durable vinyl frame that it highly resistant to peeling, cracking, warping, and fading in color. Additionally, these windows can be yours in one of many different combinations for frame color, glass type, and grid pattern. And best of all, they come backed by Alside’s own transferable lifetime limited warranty. Furthermore, we take a significant level of pride in the quality of work that we provide. Each of our windows installers is highly trained and will provide exemplary work in an efficient manner without ever cutting corners. In fact, we’re so confident in the quality of work we complete that we provide a lifetime labor guarantee on almost every project we complete. For further information about the different types of windows that we can install on your home in Durham or any other nearby area, please contact The Aluminum Company of North Carolina today. We’ll happily schedule a window replacement consultation for you and provide you with a no-obligation pricing estimate.